The haploid-diploid life cycle is the most complex life cycle and thus has lots of variation. It is also the most common life cycle among plants since all land plants, the vascular plants and the bryophytes, are haploid-diploid. An alternation of generations defines the haploid-diploid, or 1n-2n, life cycle. This occurs when a multicellular 2n sporophyte (SPT) phase alternates with a multicellular 1n gametophyte(GPT) phase. This alternation of generations creates a morphologically complex life cycle, depending on the similarity or dissimilarity of the GPT and SPT, the relationship of these to each other, and the nature of the spores. There can be an alternation of similar generations, isomorphic alternation of generations, where the GPT and SPT are morphologically identical, except for the reproductive structures. On the other hand, there can also be an alternation of dissimilar generations, heteromorphic alternation of generations, when the GPT and SPT are morphologically different. There are three possible relationships between the GPT and the SPT. The GPT and SPT may be totally independent of each other at maturity, independently free-living. 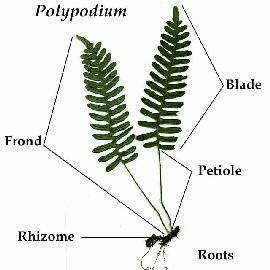 This occurs in pteridophytes, or ferns, although the SPT stage of pteridophytes is much larger and is what we commonly recognize as the plant. The second type involves a GPT that is dominant over the SPT. 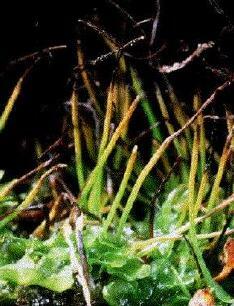 The SPT is dependent of the GPT, as with all bryophytes. The most common relationship among land plants is when the SPT is dominant over GPT, as is the case with all vascular plants. There are two main natures of spores. Some 1n-2n plants have only one morphological type of spore, and are called homosporous. Heterosporous plants have two morphologically different types of spores. They have male spores called microspores and female spores called megaspores. All GPT dominant plants are homosporous, where as SPT dominant plants can be either homosporous or heterosporous.